Beautiful black and white photos! I like the compozition and the light on the first photo very much. I think that color version also is great. Textures. How do you do that in photograph? I want to touch the textures! Great job! The light is especially beautiful in the first image; great choice of black and white. We all have days where it seems like all we do is "hold on and climb." Love captures. I particularly like that little twining around the stem in the lower image. So delicate. 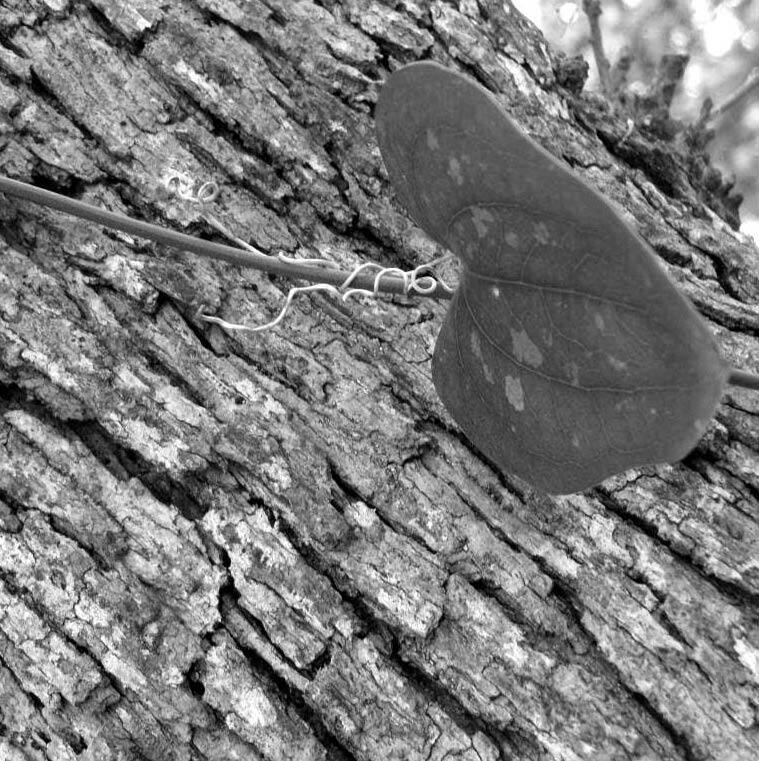 Black and white gives this vine a different perspective doesn't it? I'm climbing (and sliding back occasionally) but at least I'm climbing. 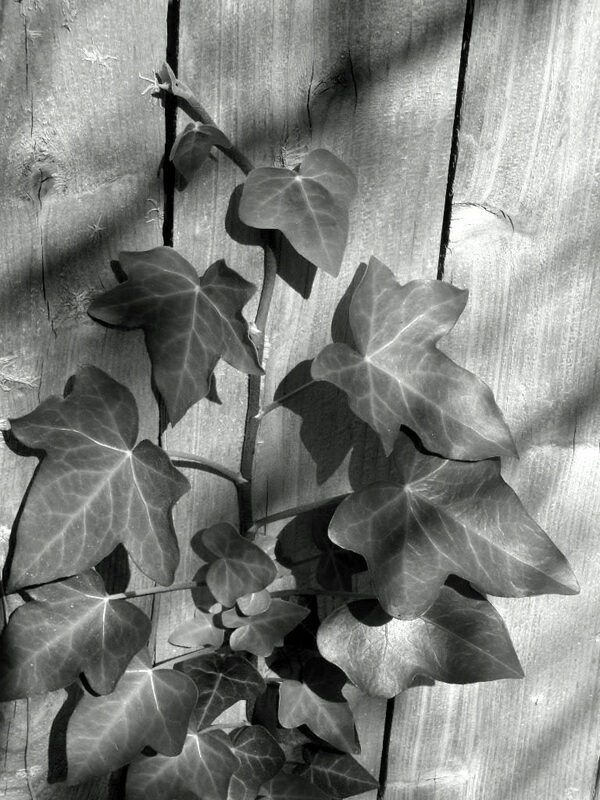 I'm going to be as tenacious as the ivy that grows in my backyard (It's pulling down the fence). Love the pic, b&w -- my fave!! love the images climbing up - love the heart that you found along the way. I love these images. Sometimes I forget how much I like b&w. The quality of light in the first image is amazing! I'm going to keep your words in mind today. Very good advice. Excellent advice and excellent images, ELK. Love them in b&w. Oh. I am shaking my head yes. Yes! Are we sharing a b&w theme today. What a pair we make, my friend. Wonderful images & words. Your self portrait is great too! So good to see you! That second image stole my heart, beautiful! Beautiful! I love all the natural texture happening here. wonderful! your blog just keeps getting more beautiful!!! Love the shadows in that first photo. I've got a kung-fu death grip going on right now, sister! Your photos inspire me more and more!...Love your self portrait too! the title of this post and the first image really work well together. I'm really digging the texture you've captured here. Wonderful ight on the ivy. Beautiful.